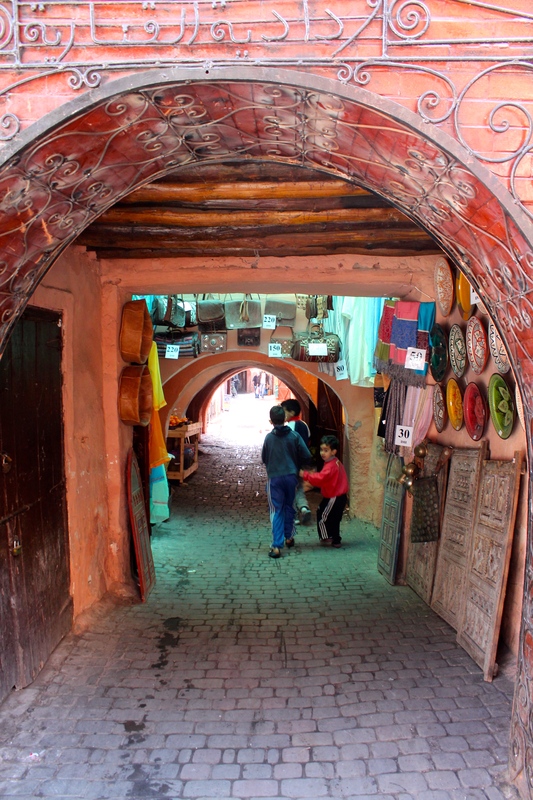 I wish I had had a few more days in Marrakech and a few more weeks to explore the numerous vibrant cities of Morocco. I’m happy to have had the three days I did, but sometimes, it’s just not enough to entirely absorb a country that is so very different from your own. I’m certain I didn’t even scratch the surface while I was there. A little bit of shopping. 2 pashminas and some dried apricots and roasted nuts covered in sesame seeds. 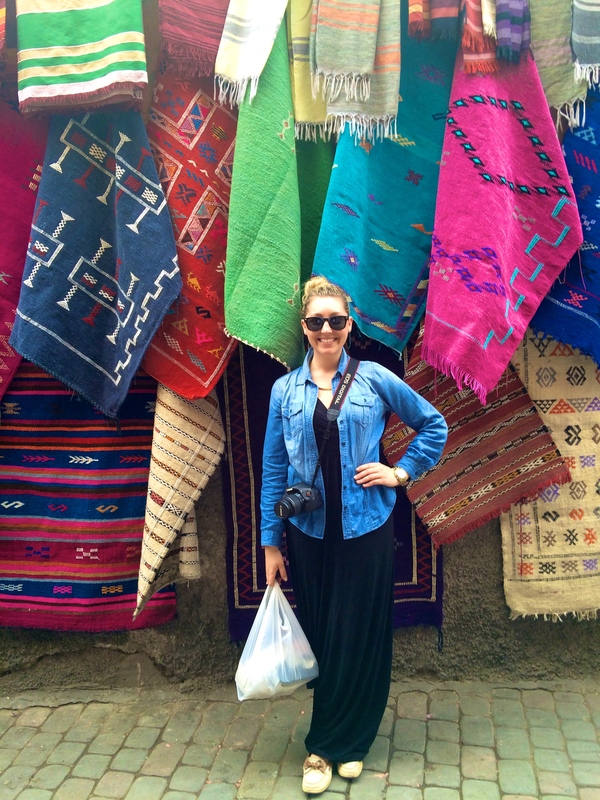 Allie and I arrived a little before midnight to our hostel (riad), Medina Rouge. 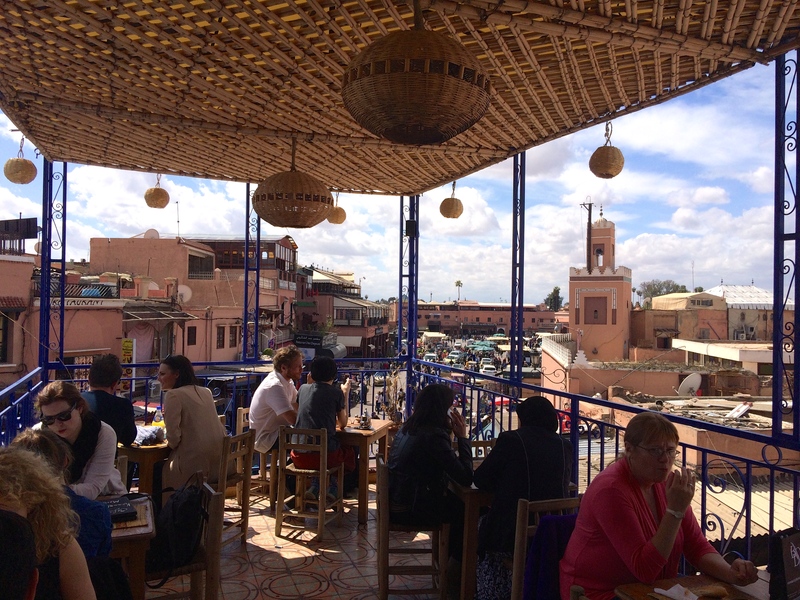 We’ve had several friend groups before us travel to and stay in the same riad so we took them up on their suggestion. 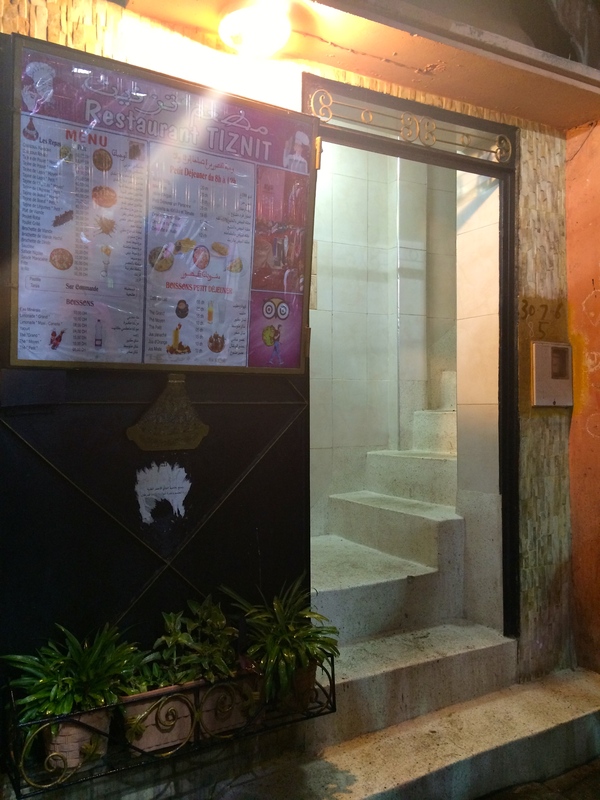 It wasn’t necessarily up to our liking but it was an authentic stay, paralleling the lifestyles of locals, and we felt warmly welcomed by the staff who made sure you were always offered the traditional mint tea and served the most amazing, plentiful, breakfast. 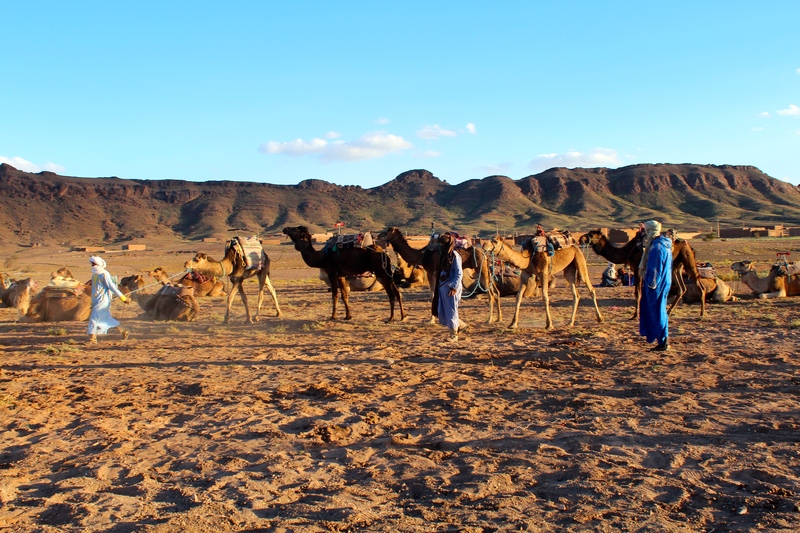 We left Marrakech at 7:30am the next morning for our eight hour journey to the desert. 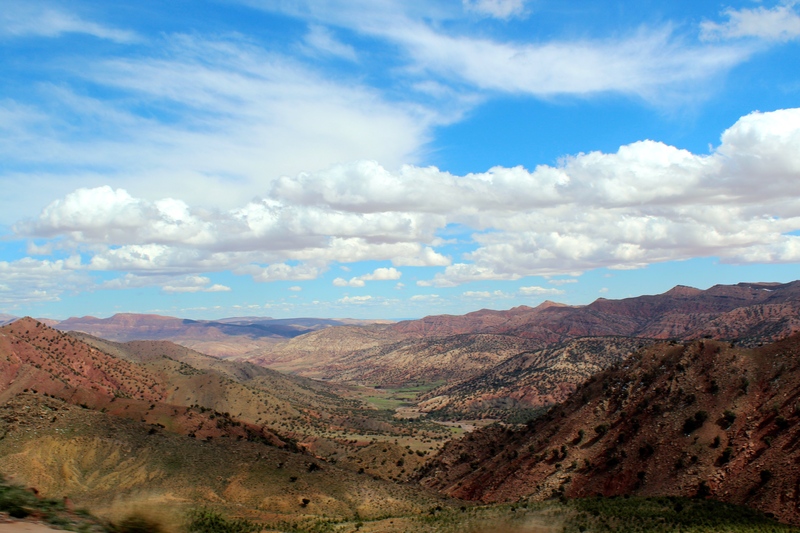 We crossed the Atlas Mountains which were breathtaking and peeked at the summit of 2,600 meters, before winding our way down and towards the Zagora. 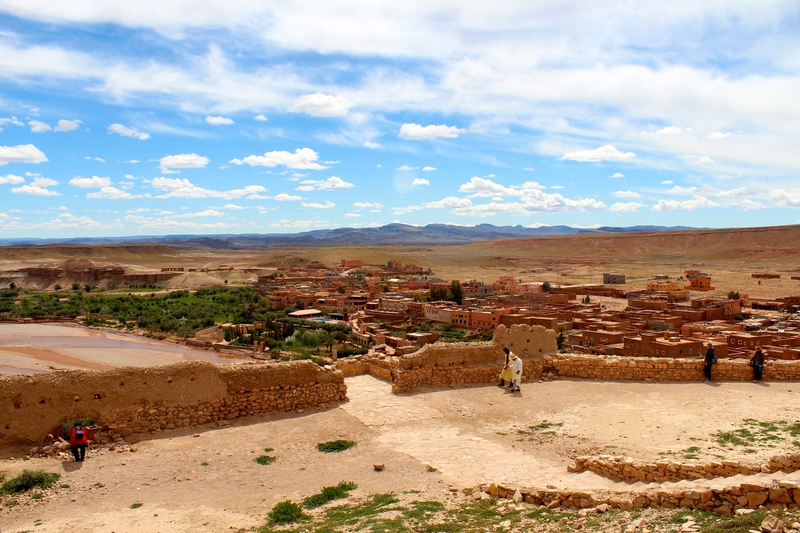 We stopped at the ancient Kasbah Ait Benhaddou which bridges the mountains with the desert and then had a delicious lunch of chicken tangine and Moroccan salad. After our two hour stop we continued for another few hours to our awaiting camels. 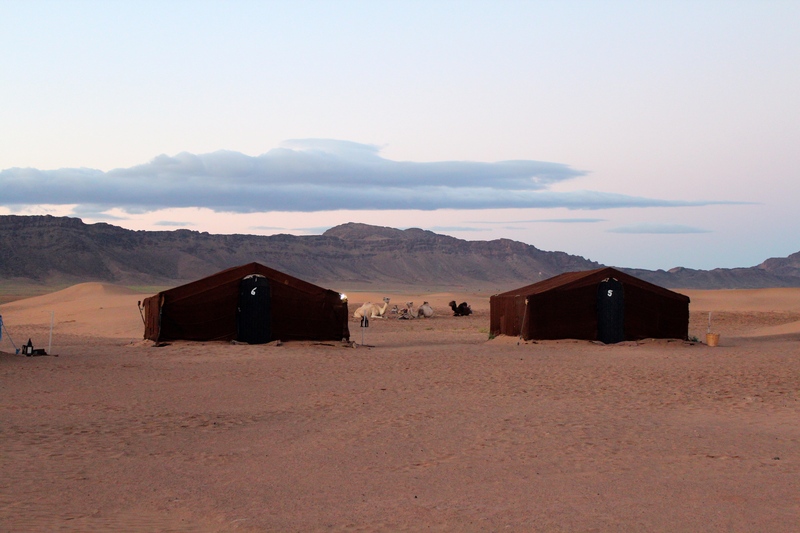 We traveled to the nearby Berber camp in the Sahara, where we would stay for the night in tents, on camels during sunset. It was beautiful but a bit uncomfortable. 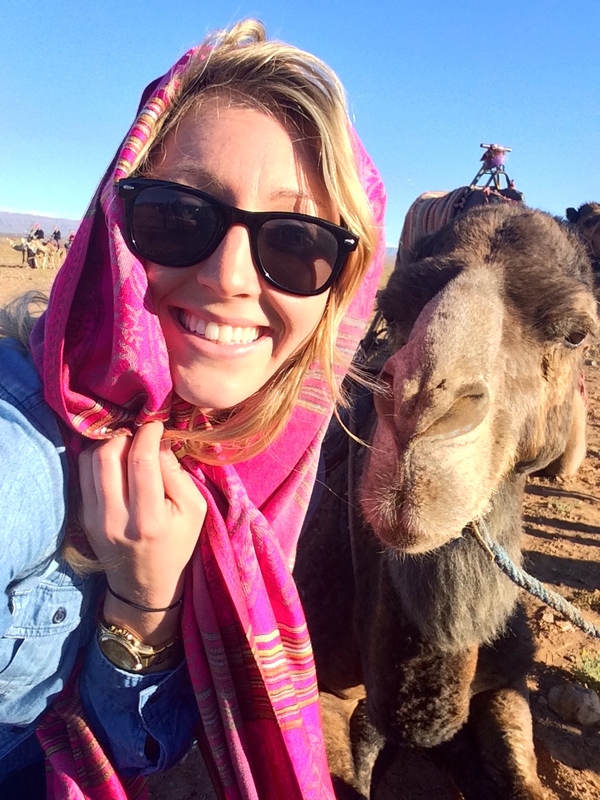 I decided I couldn’t complain about comfort when I was riding a camel through the Sahara, though. 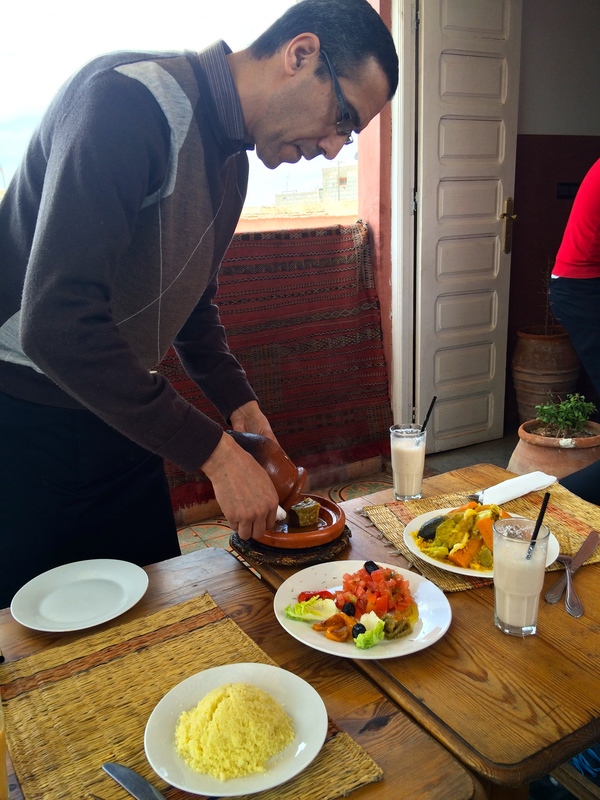 We experienced an evening typical of the Berber culture and enjoyed a delicious homemade meal of soup and turkey tagine before making our way outside to gaze upon the thousands of stars you cannot see from a city. Getting up early the next morning for sunrise was the icing on the cake. I think it was more beautiful than even the sunset the night before. 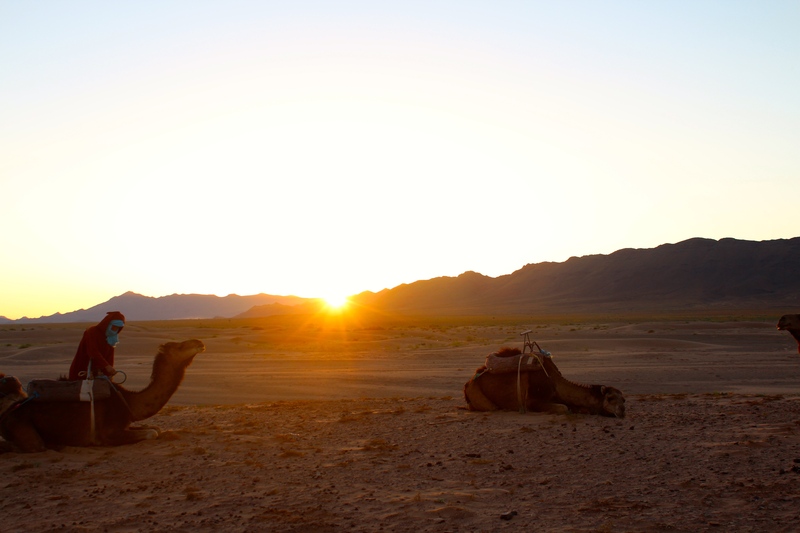 The view of the golden sun shining across the red sand was an image I will never forget and made the looming 8 hour return trip to Marrakech worth it. 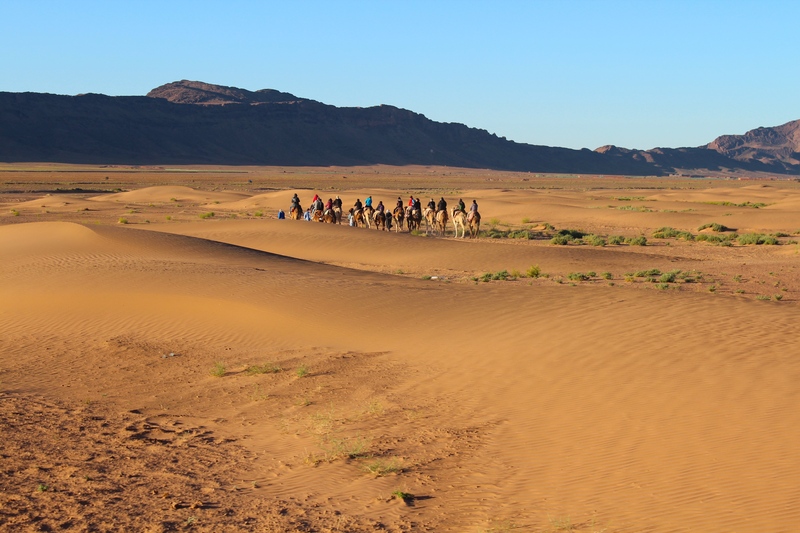 While the experience in the desert was definitely worth the trouble, I would advise going further and staying for longer and if you have the means, a more luxurious tour. 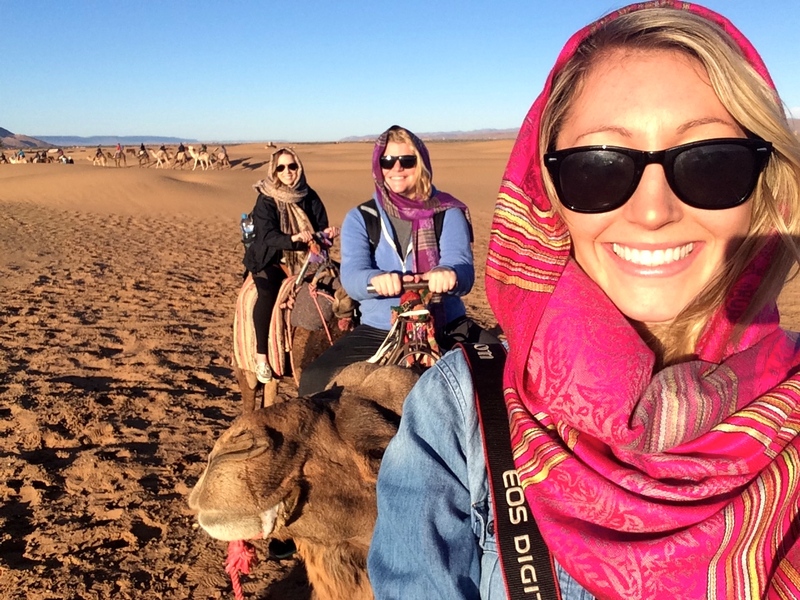 It was beautiful and an experience to not skip if you’ve never ridden a camel nor seen the Sahara. 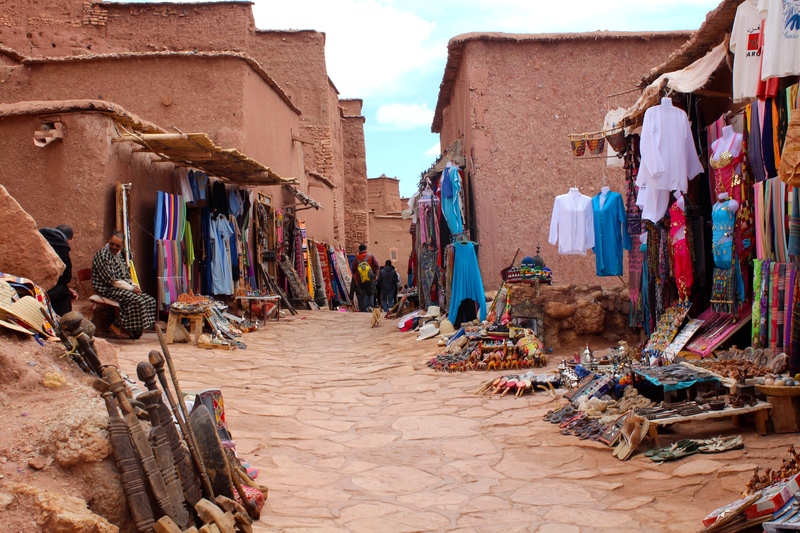 Sunday was spent eating and shopping as it was our only full day in Marrakech. 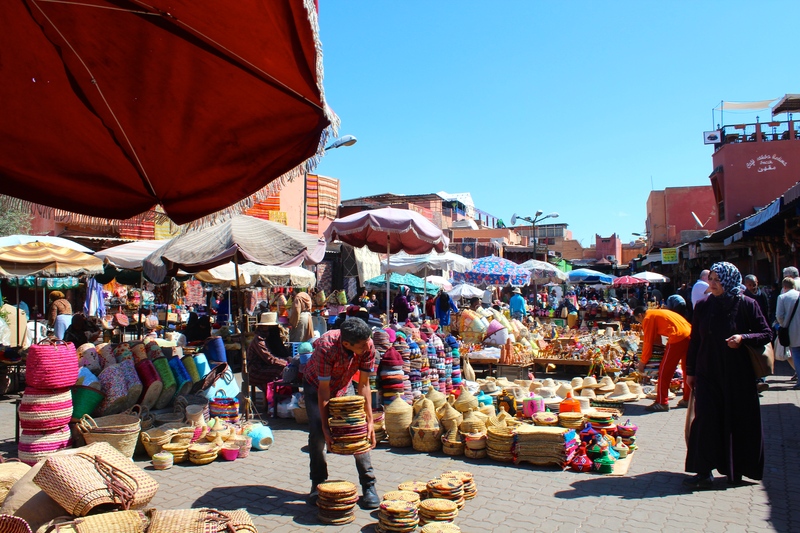 The famous Jeman Al Fna was a five minute walk from our hostel door. 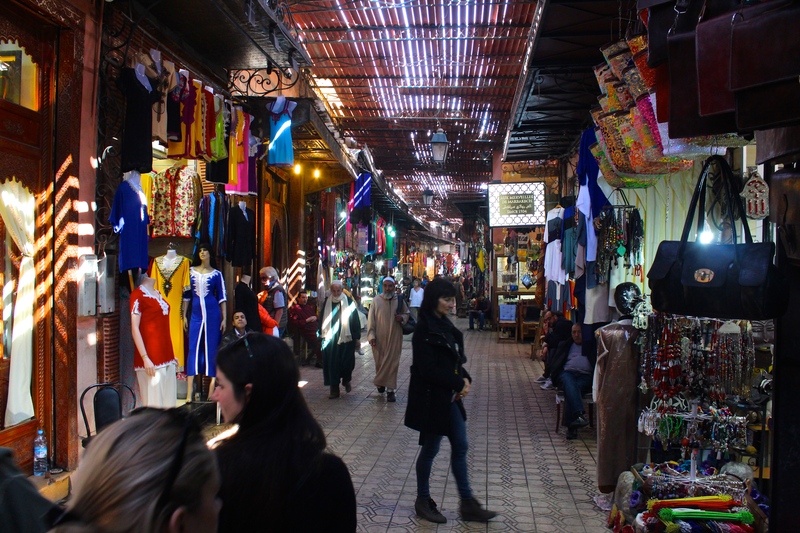 A bustling market filled with food, pottery, and every kind of knock-off purse you could want was time well spent. We also ate some pretty amazing meals. My favorite being a tiny place our hostel recommended. It ended up being the best and the cheapest, a travelers dream! And lunch with a view. 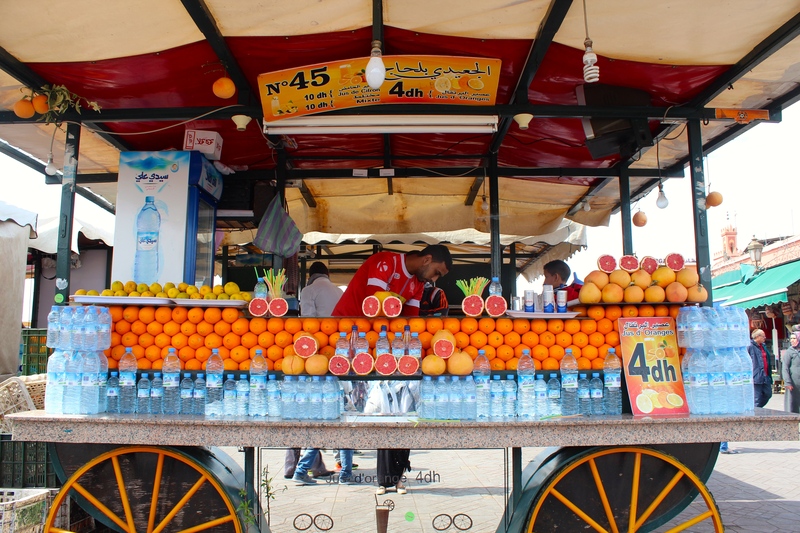 Before heading to the airport I grabbed myself one of the famed fresh orange juices and gave in to buying a type of cookie-thing from a young boy.It was the consistency of a macaroon and the sweet, settle taste of coconut. 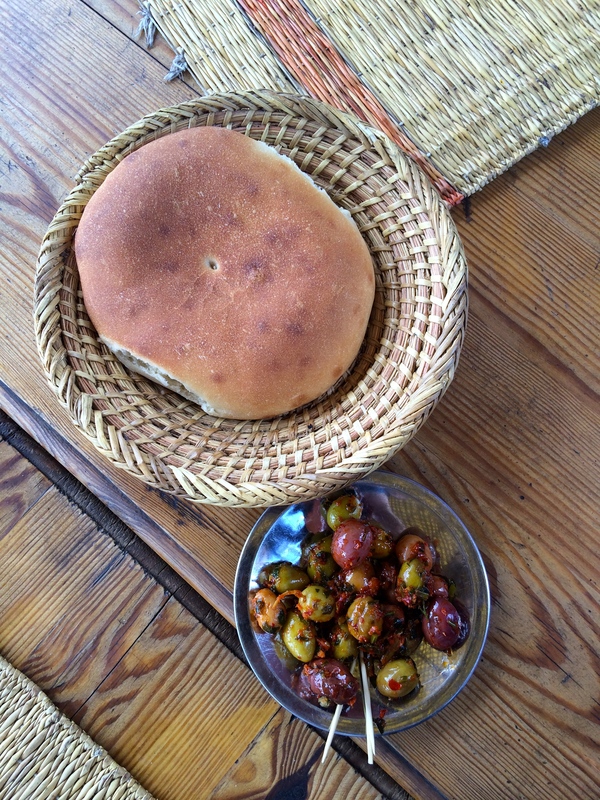 It is one of the best things I have ever tasted and I will now be scouring the earth for every time I travel. Chasing the boy down and purchasing more of the delicious cookies, which almost started a boy fight, so I bought one from each. I was completely ok with eating 3 more though. As my second trip to Africa (I visited Cairo, Egypt 5 years ago) it was a lovely return to Arabia and the fascinating culture. Once more, I know I haven’t even scratched the surface of understanding the complex and enchanting culture but I can hope that a tiny bit of it rubbed off on me. 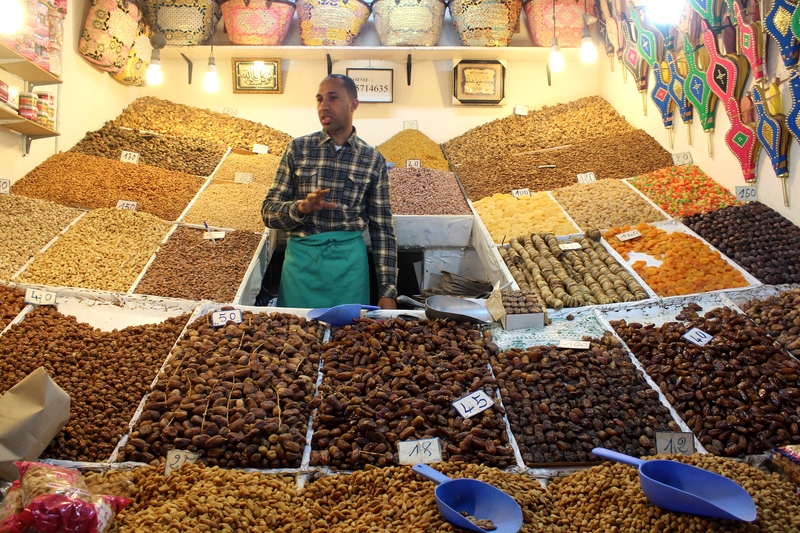 Before visiting Marrakech I read In Arabian Nights by Tahir Shah and I would highly recommend it for anyone who wants a glimpse into Arab culture, legendary story-tellers, and as a first exposure to the infamous One Thousand and One Nights.